Nutley For Sale By Owner Homes, Thinking About Not Using A Professional? Rather than going through the hassle of picking a realtor, some, not many, homeowner try to sell their homes themselves. This is known as a “for sale by owner” or FSBO. These are the homes that typically end up still being on the market for years. 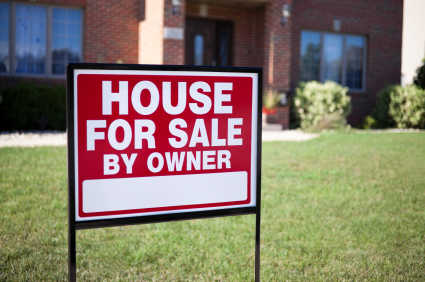 If you are considering doing an FSBO, please read this list before you make your decision. 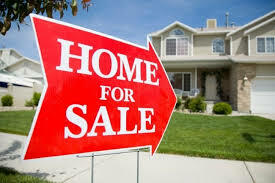 If for sale by owner homes do not sell quickly, the seller would have to blindly adjust the price, since he does not have access to current sales data. Real estate magazines do not list FSBO listings. Recent sales data is not available to the public. Realtors are well-versed in contract terminology and are skilled negotiators. They can negotiate the contract terms that work best for you and assist you in getting as much as possible for your home. Before showing prospects your home, Realtors can make sure they are qualified through a pre-qualification process. Har.com advertises almost every single one of the active listings. This sites does not include for sale by owner listings. Agents and buyers will not see your listing when they are shopping to find homes on the Internet, an ever-increasing trend. State real estate commission contract forms are not accessible to FSBO sellers. Before letting them into their homes, for sale by owner sellers do not have the ability to property pre-qualify buyers. When shopping for homes, buyers will not be able to see for sale by owner properties in any of the multiple listing areas. After a contract is signed, realtors stay in contact with the agent, title company, and the buyer’s lender. Realtors make sure that all critical details are completed as agreed upon and are crucial in helping to coordinate closing. You can keep up to date on current sales activity in your neighborhood with a Realtor if your home does not sell quickly. A realtor can also tell you about factors that may be affecting your sales as well as competing listings. As necessary, they can help you adjust your price. You can generate additional exposure for your home with a Realtor. You will have access to the realtors own personal websites as well as advertising in paper publications that you would not get as an FSBO. To help you accurately price your home right off the bat, a realtor can give you recent sales data and market analyses. Hopefully, this has dissuaded you from making the mistake of doing an FSBO. If you would like to sell your home quickly, go with the experts at Elite House Buyer. We guarantee we will produce results! Quick: Off the top of your head, what can a real estate agent do to sell a house that you can’t do? “Frankly, I don’t think a Realtor® does much that I can’t do myself,” a New Jersey homeowner told CBS News. After all, real estate agents just stick a sign in the yard, hold an open house or two, and fill out a couple of papers, right? Since you, too, can perform these duties, why not sell the house yourself and keep the commission money? This is a fallacy many Americans operate under when judging the job of a real estate agent. Keep in mind that lots of jobs look easy when you aren’t the one performing them. Before you decide to plunge head-on into the world of the For-Sale-By-Owner, here are there key points you may want to consider.